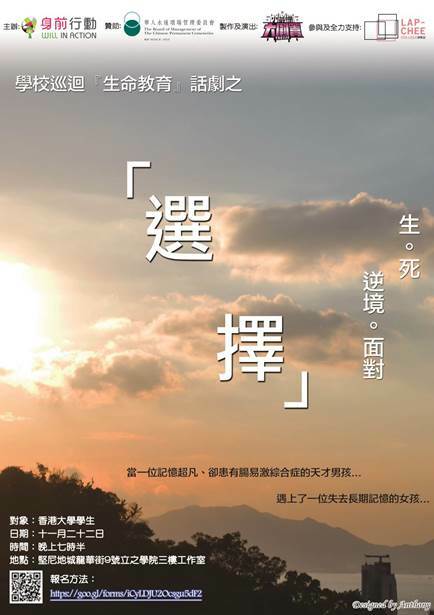 A local NGO “Will in Action”身前行動 produced a drama show discuss the topic of “Choice” focusing onpromoting positive attitude to students, for more information please visit the website http://www.wia.org.hk/ . This drama intends to help our college residents to face up stress and adverse event. Don’t hesitate to join us to enjoy this drama show! We look forward to seeing you to join and enjoy the show!